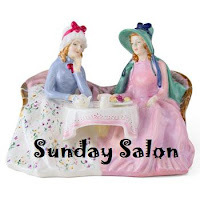 A beautiful Sunday today, the sun is shining and the air is crisp. If it weren't for my sneezing fits while I was walking Rocky this morning, it would be perfection. Oh well, perfection is boring after all. Ha! A literary addition to my National Train Day post of yesterday since there are so many train afficionados among us. In case you haven't read these titles, I didn't want you to miss out, especially if, like me, you enjoy travel writing and travel-by-train writing most. I've read the first two and plan on reading the third. 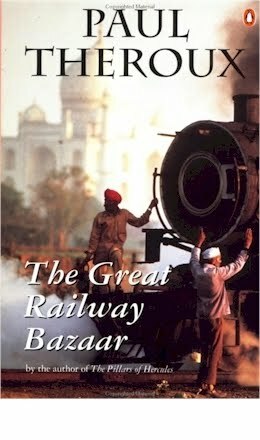 1) THE GREAT RAILWAY BAZAAR - By Train Through Asia (for me the granddaddy of all train travel books. I read it many years ago and still have very fond memories of it.) by Paul Theroux. Don't miss this. Travel by train through a bygone world. 2) THE KINGDOM BY THE SEA - A Journey Around the Coast of Great Britain by Paul Theroux. Self explanatory. If you're an Anglophile (or would like to be one), a must read. 3) GHOST TRAIN TO THE EASTERN STAR - On the Tracks of the Great Railway Bazaar - in which Paul Theroux takes the same journey as in his first book written fifty years ago. I haven't read it yet but it's on my TBR list. Check out Paul Teroux's website for a complete list of his many books. He writes fiction as well as non. A very nice addition to National Train Day. Let the wild celebrations continue. I can hardly contain my excitement! Ha!